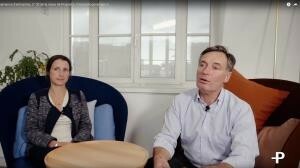 This article summarises part of the work of professors Aymeric Kamega and Frédéric Planchet: “Presentation of the life insurance sector in Frenchspeaking Sub-Saharan Africa” at Université de Bretagne occidentale / EURIA, Université de Lyon I / ISFA and Winter & Associés, 2012. It also draws upon various papers presented at the 40th anniversary celebrations of the African insurance federation (FANAF) held in Abidjan (Côte d’Ivoire) in 2016. Everybody has to contend with life’s hazards – and that includes life expectancy – with all their attendant financial implications. For example, the death of the head of a family can deprive close relatives (i.e., wife, children or parents) of an income. 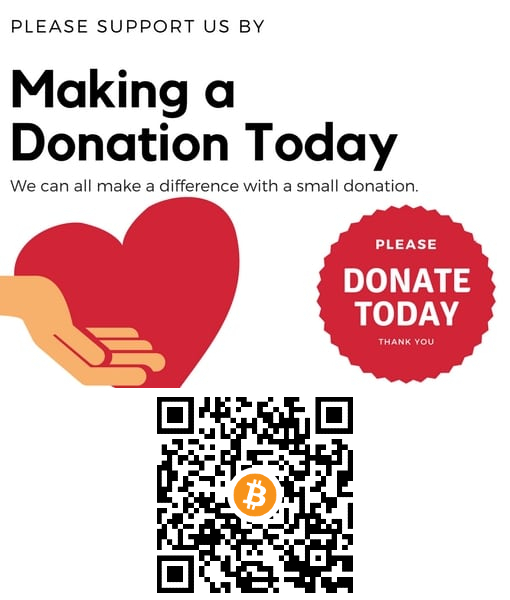 Elderly people are also likely to run into financial difficulties if they do not have sufficient savings or close relatives willing to help them out. Individuals need to be able to protect themselves against such risks. Private insurers market life insurance products that are underpinned by several different risk management approaches (encouraging prudence and pooling, sharing and transferring risk). In French-speaking Sub-Saharan African countries that are part of the inter-African conference of insurance markets (known by its French acronym CIMA – Conférence interafricaine des marchés d’ assurances) and the African insurance federation FANAF (Fédérations des sociétés d’assurance de droit national africaines), traditional life insurance products are evolving slowly despite a gradual improvement. Life insurance generates less than one-third of premium income in the FANAF zone and the market penetration rate (i.e., total premiums as a percentage of GDP) is only 0.2% (figure ). The biggest market is Côte d’Ivoire, totalling CFA 110 billion or 39% of the FANAF market, followed by Cameroon (16%) and Senegal (9%). This is partly attributable to the dynamism of the Ivorian economy and its regional importance (figure). Since 1995, the French-speaking African insurance market has been organised by the inter-African conference of insurance markets (CIMA), a supranational body with extensive supervisory powers and the culmination of a drive to standardise the sector dating back to 1962 (read inset). In July 1962, the International conference on control of the insurance sector (CICA) in Paris endorsed the wish of French-speaking African countries to harmonise their legislation and national regulations and coordinate corporate oversight and training of African insurance executives. Ten years later, the United Nations Conference on Trade and Development (UNCTAD) began encouraging developing countries to set up insurance companies that were wholly or partially owned by national capital and headed up by people from the countries themselves. 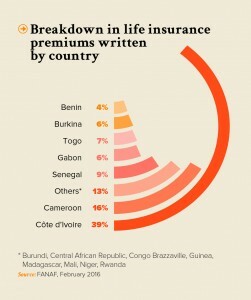 Finally a common insurance code for 14 Frenchspeaking African countries (CIMA) came into force in 1995. CIMA’s charter, which has been ratified by 13 French-speaking African countries1 and Guinea Bissau, has made it possible to gradually transform national insurance markets into a major pan-African market with a common set of rules and regulator. It is underpinned by an insurance code that defines relations between insurers and policyholders as well as policy management rules. This structure is the only one of its kind in the World. Signatory governments have relinquished part of their sovereignty to the Regional Commission for Insurance Supervision, known by its French acronym CRCA (Commission Régionale de Contrôle des Assurances). CRCA is the only body that can hand out (or withdraw) authorisations to practice in member states. The CIMA zone has achieved a number of positive developments since its creation. It rounded out a number of existing institutions such as the International insurance institute (Institut internationnal des assurances (IIA) – which provides management training), the African insurance federation (Fédérations des sociétés d’assurance de droit national africaines (FANAF)) and the Common Reinsurance Company of CICA Member States (Compagnie commune de réassurance des États membres de la CICA (CICA-Re)). A number of accreditations have been withdrawn from poorly-run companies and warnings and reprimands issued to non-compliant executives. Risk coverage has been improved and adapted to local conditions while mortality tables based on statistics for the overall population were replaced in 2013 by an actuarial table based on statistics for the insured population only. Despite this progress, difficulties persist in CIMA zone markets, especially in the life insurance segment (death insurance and retirement savings). Such problems are linked to local circumstances (limits to supervision capabilities in member states, insurance fraud, socio-economic profile of populations, etc.) and to insurers’ operational limitations (imperfect data, lack of qualified personnel, limited investment management opportunities, etc.) and tend to perpetuate mistrust and an ill-adapted offering that ultimately results in a major chunk of the population continuing to be uninsured. 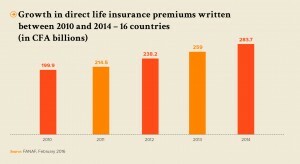 In spite of less than spectacular growth in the African insurance market – and especially life insurance in French-speaking Africa – the profound structural changes sweeping the Continent, underpinned by solid socio-economic fundamentals, give room for reasonable optimism over the future of the African insurance sector. These include the emergence of a middle class with significantly enhanced purchasing power and gradual political stabilisation accompanied by peaceful political transition, coupled with stricter regulations across all African insurance markets and the emergence of regional insurance groups (e.g., SUNU, NSIA, SAHAM, etc.). We should also mention Africa’s fuller integration into the global economy and the growing penetration rate of mobile phones which represent a highly promising distribution channel for insurers. These socio-economic trends need to be organised with a view to structural changes. Africa’s demographic boom coupled with the emergence of a middle class with extra purchasing power will boost contribution capabilities as well as demand for life insurance products. The increasing difficulties being experienced by pay-asyou- go pension schemes should also fuel this demand. On the supply side, insurers also need to develop their offerings. On-line sales are growing in importance and generating lower distribution costs across all markets. Improved, more diverse life insurance products are also beginning to appear on the market thanks to innovations in bancassurance, i.e., the sale of insurance products through banking networks. Sector-based players need to meet various challenges if they are to foster development in the African insurance market in terms of product planning and new product launches (introduction of mandatory insurance), distribution, status of brokers and the conditions under which they may exercise, operating performance issues bound up with new distribution channels and NICTs, human resources (continuous training), the regulatory (company size) and control environment, and enhanced ALM strategies, etc. Tax breaks will also have a certain impact on the growth of the sector and national associations and FANAF are constantly lobbying governments to foster awareness of the various possible tax incentives that could be made available to savers. Will the solutions to these challenges make it possible to target/reach emerging insureds, i.e., those individuals whose disposable income has grown, thus enabling them to allocate part of their surplus to things like personal risk insurance? It is up to insurers to design new marketing strategies with suitably adapted products that will successfully target the African middle classes that currently make up 34% of the Continent’s population (source: AFDB). The African life insurance sector is organised around three “core structures”: (1) the family and community (traditional informal basis of solidarity); (2) public institutions such as CIPRES for the Franc area tasked with providing social security (healthcare, family and maternity allowances, and benefits in the event of incapacity, old age, work-related accidents or occupational illness, etc.3); and (3) private insurers (formal arrangements). Central African Republic, Chad and Togo. The Comoros have signed but not yet ratified the Charter. regulation of 1938 set out the rules for managing an insurance company.